Levi Strauss (1829 – 1902) was the man who invented and marketed blue jeans. In 1873, Strauss patented the idea of using copper rivets at the stress points of sturdy work trousers. They were sold initially to the miners of the Californian Gold Rush. Tea bags were invented by Thomas Sullivan around 1908. The first bags were made from silk. Sullivan was a tea and coffee merchant in New York who began packaging tea samples in tiny silk bags. Many of his customers brewed their tea in the bags rather than in the traditional way of brewing loose tea in a teapot, and the tea bag was born. 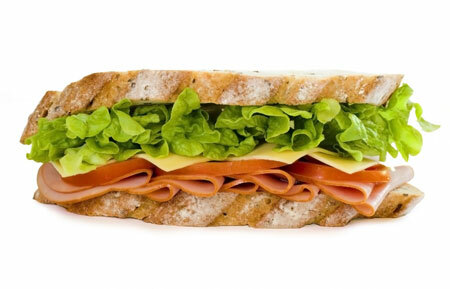 The sandwich was invented by John Montagu, the 4th Earl of Sandwich (1718 – 1792). In 1762, the story goes, he was too involved in a card game to have a formal meal, so he instructed his cook to put some meat between two slices of bread to save him time. He named the snack after himself. The telephone (meaning "far sound") is the most widely used telecommunications device. It was invented in 1876 by Alexander Graham Bell. His device transmitted speech sounds over electric wires. 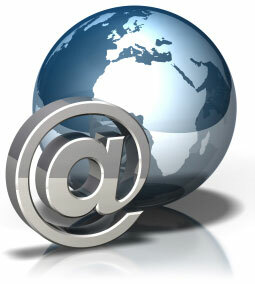 Internet based email was invented in late 1971 by Ray Tomlinson. Ray Tomlinson worked as a computer engineer for Bolt, Beranek and Newman (BBN), the company hired by the United States Defense Department to build the first Internet in 1968. Ray Tomlinson was experimenting with a popular program he wrote called SNDMSG that the ARPANET researchers were using on the network computers to leave messages for each other. You could only leave messages on the computer that you were using for other persons using that computer to read. Tomlinson used a file transfer protocol that he was working on called CYPNET to adapt the SNDMSG program so it could send electronic messages to any computer on the ARPANET network. The first email was sent between two computers placed next to each other. The ARPANET network was used as the connection between the two. The zip was developed in 1913 by the Swedish – American engineer, Gideon Sundbach. He was successful in selling his invention, which he called the Hookless 2. He sold these fasteners to the US Army, who put zip on soldiers' clothing and equipment during World War I.
Dynamite was invented by Alfred Nobel, a Swedish industrialist, engineer, and inventor. His construction work inspired Nobel to research new methods of blasting rock. He started experimenting with nitroglycerine and invented the Nobel patent detonator for nitroglycerin in 1863. The Nobel Company built the first factory to manufacture nitroglycerin and dynamite. A crossword puzzle is a game of words where the player is given a hint and the number of letters. The player then fills in letter boxes with the right words. The first crossword puzzle was invented by Arthur Wynne, a Liverpool journalist. He immigrated to the United States and wrote the first crossword puzzle for an American newspaper called the New York World. It was published on Sunday, December 21, 1913.